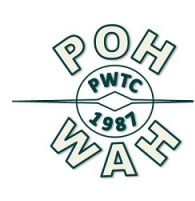 Q: Who is Poh Wah Trading Company? A: Poh Wah Trading Company is a online store supplier. Q: Why should I shop here? A: Now you have the freedom to shop from home. No more traffic jam, fighting for parking lot. Also, you can save up parking fee, toll fee, and your time. Q: Why I cannot add or remove product in my shopping cart? A: Probably is the memory problem of the browser. Please clear all the cookies in your browser and then restart it. The problem should be solved. Q: Can I place an order without creating an account? A: Yes, you may place your order without create an account. However, it will be easier for you to shop with us next time once you had created your account with us. Just login by using your email address and password that you had created on your next purchase. All personal information will automatically retrieved from your account. Q: Do I need to have a local address and contact number? A: Yes. It is compulsory for you to provide us a local address and contact number in order to us to get in touch with you should there be a need. Q: I have a user account with pohwah.com but forgot my password. What should I do? A: It is easy, go to Login page and click on the Forgot password link. You will be prompted with a window and please enter your email address (it must be the same email address you registered with pohwah.com). The password will be sent automatically to the registered email address. Q: When my order will arrive? A: Depends to delivery location, it might take up to 2 days within Kuala Lumpur location, up to 4 days within Selangor state. For other state, it might take longer than 4 days. Note that delivery time only start count when the order is fully paid. Delivery time does not include holidays and out of business day. A: Your order will cancel automatically after 24 hours of not paying your order. Q: Can I retrieve an order that had cancelled before? A: No, there is no way to retrieve a cancelled order. You have to start a new order.